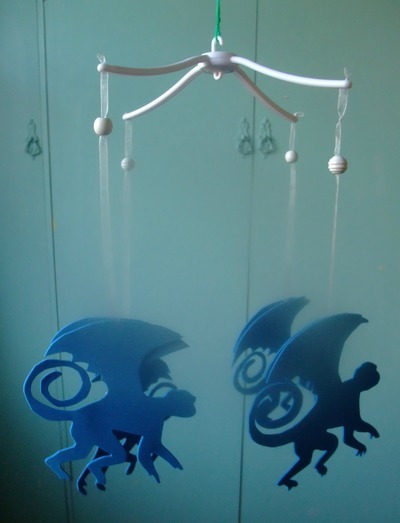 Decorate babies room with this easy DIY Flying monkeys mobile. 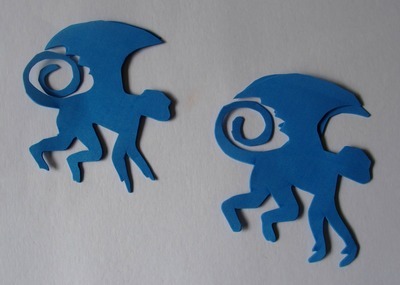 Make your flying monkey stencil on paper. Cut it out and glue extra wing to the base of the other wing, gluing the ribbon at the same point. When dry, weave through your mobile and enjoy.